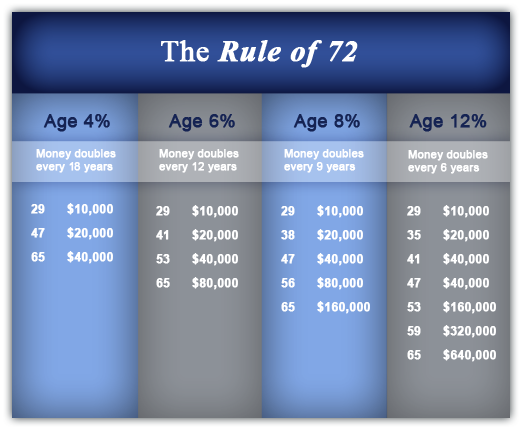 The Rule of 72 is a simple way to calculate approximately how long it will take for your money to double. Here is how it works. Take the number 72 and divide it by the interest rate you are earning on your money. Whatever number you get by doing the division will tell you how many years it will take for your money to double at that interest rate.